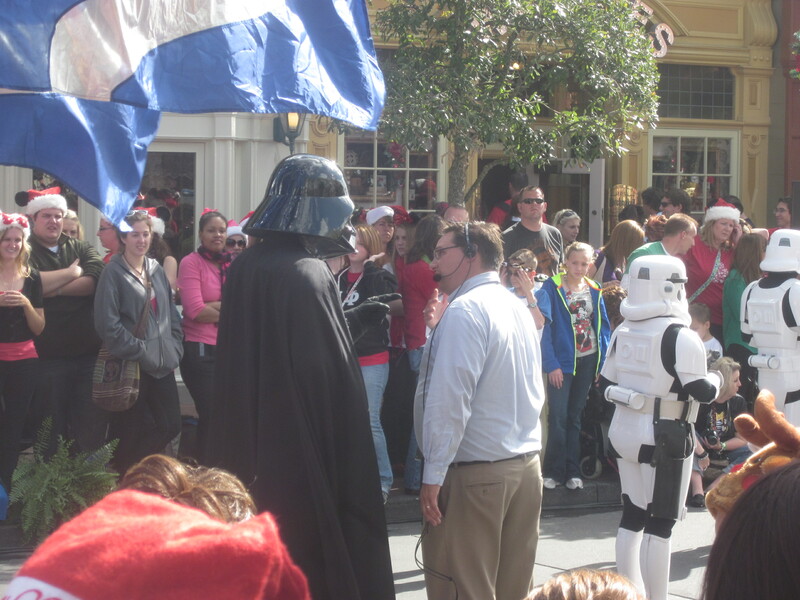 One of the best things about Disney vacations is that something unexpected and magical seems to happen on every trip. Last November, my husband and I went to Disney World to celebrate our 10 year anniversary and we definitely experienced some unexpected magic! We planned our trip the week following Thanksgiving, knowing that we would beat the holiday crowds that grow as Christmas break approaches. 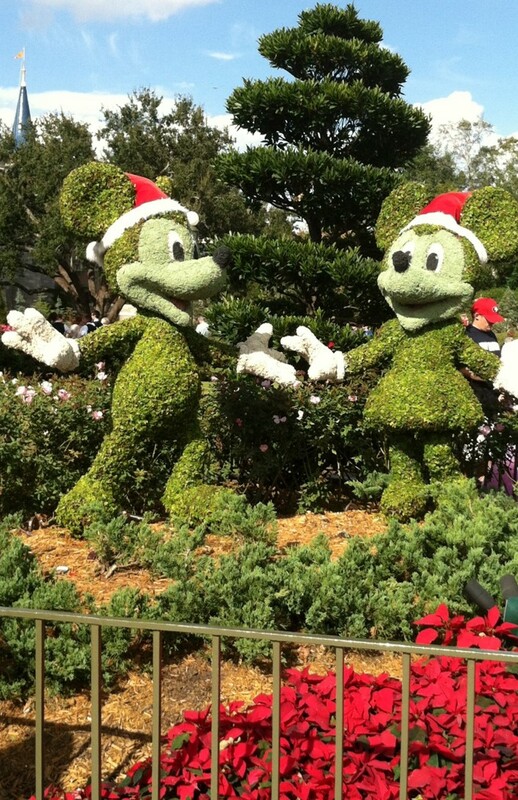 Upon arriving at Magic Kingdom, we saw some commotion and a stage set up in the Main Street square, not to mention people lined up along Main Street wearing Santa hats and Christmas-themed attire. 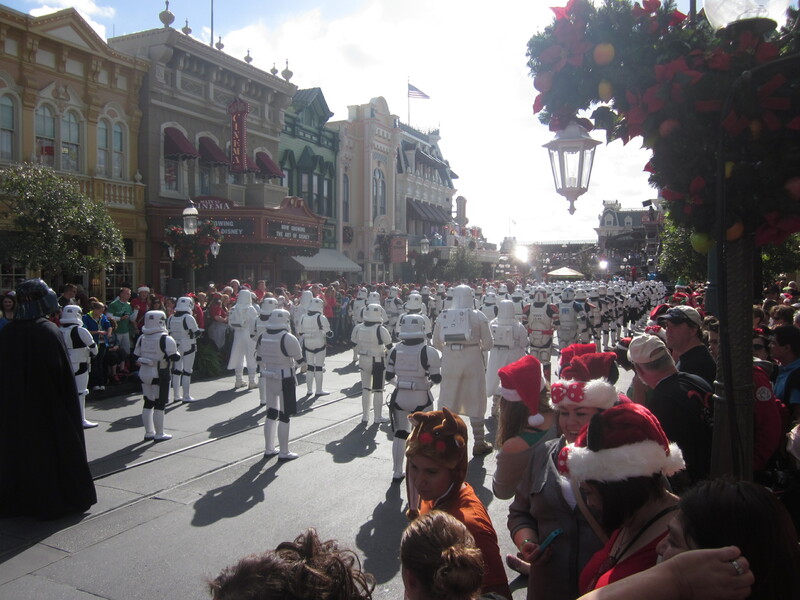 It didn’t take too long to realize something was going on and we soon found out they were setting up to tape the Christmas Day parade that airs on TV Christmas morning — and we were going to be there to witness it! 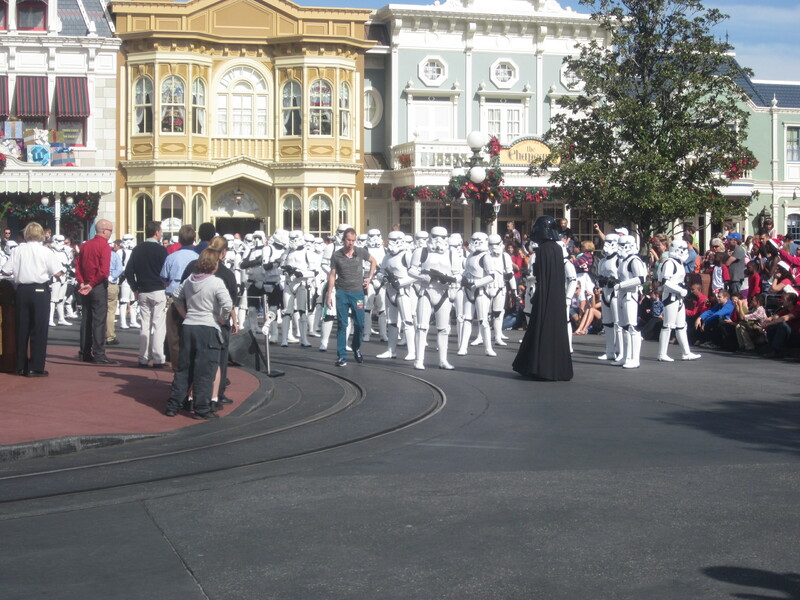 The timing of the parade happened shortly after the news of Disney taking over Lucasfilm, so there were tons of storm troopers lined up to march in the parade, lead by Darth Vader. It was so cool to see the behind-the-scenes instructions given to Vader by the director and it only took a few takes to get the scene right. 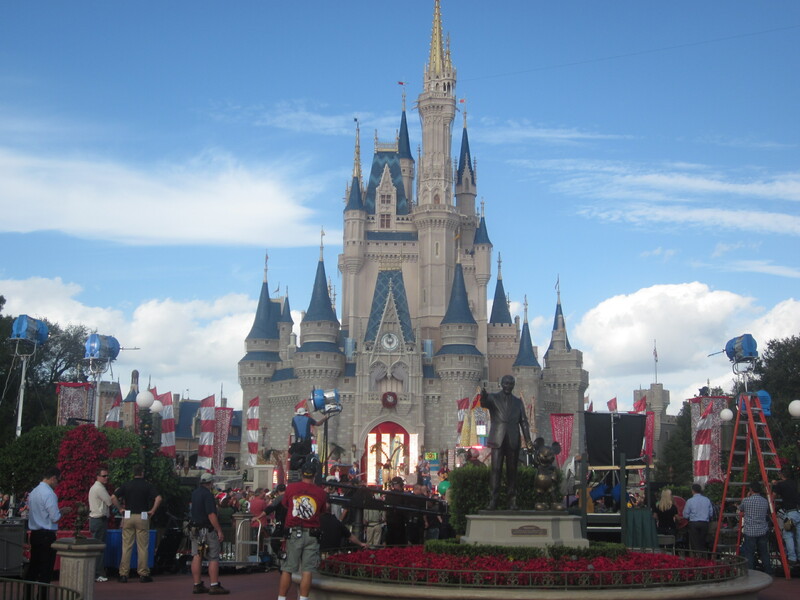 After the parade was over, we made our way up Main Street towards Cinderella Castle. Once we got there, it was obvious there was going to be a show. We had no idea who would be coming out on stage but there was a roped off area with TV cameras set up above the crowds in front of the stage and people were gathering so we joined the crowd. There were 2 MCs who tried to keep the crowd entertained as we waited, but as the minutes ticked by we contemplated moving on since we had no idea who we were even waiting to see. 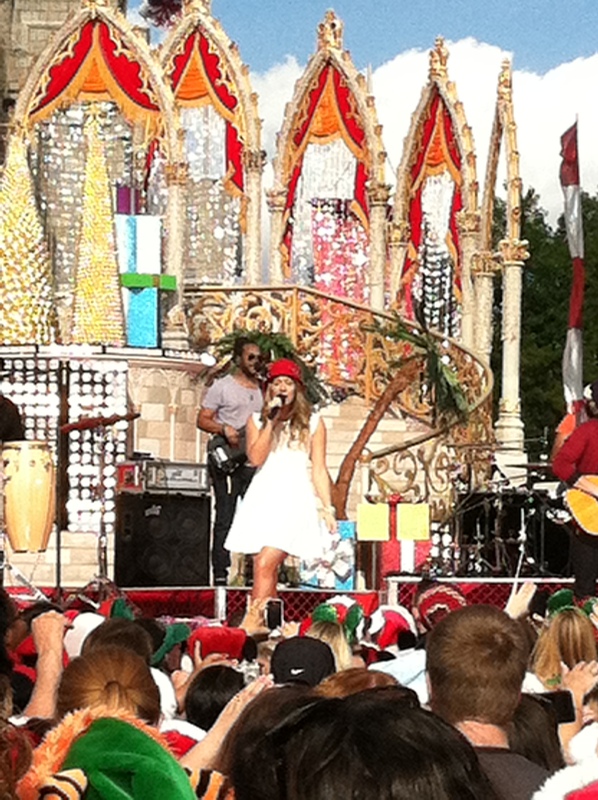 Finally, out came a performer and we were pleasantly surprised that it was someone we knew – Colbie Caillat! 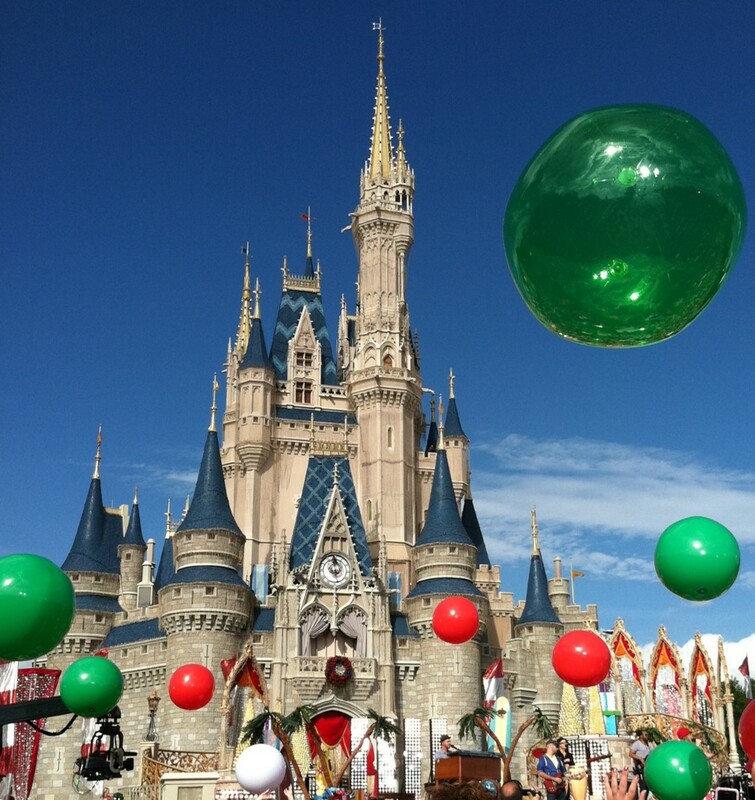 She sang a song called Christmas in the Sand as red, green and white beach balls were bounced among the crowd. It was awesome! We had no idea that all of this would be going on when we planned our trip, but like always, Disney never ceases to fall short on magic! The only bad part was having to wait another month to watch the parade on TV!